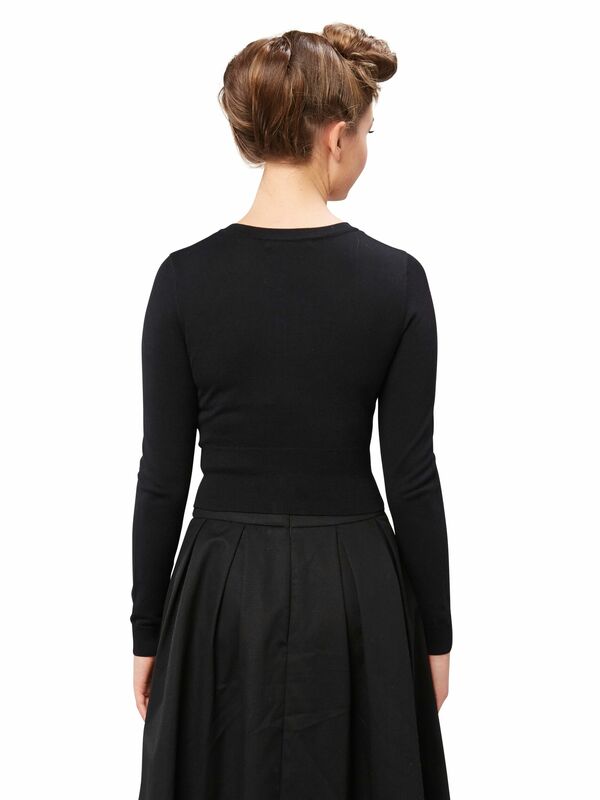 Chessie Long Sleeve Cardi https://www.review-australia.com/au/chessie-long-sleeve-cardi-black/RE15KW217.REBLK001.html The perfect cardi for any occasion, the Chessie Cardigan is a classic Review style in fresh new colours. It is a slightly cropped length with a wide hemband, cute embossed dot details and buttons dyed to match perfectly. Monogram me for $25! Please note as monogrammed items are bespoke we cannot accept exchanges or refunds. Rated 5 out of 5 by Clo.91 from Perfect! I bought this when I had my birthday voucher and am very pleased. I’ve been eyeing the Chessie cardigan for a very long time but didn’t ever get around to purchasing or even trying on. Wish I had bought it ages ago. It’s great quality and super cute. I know it will be on high rotation for my work wardrobe. The cut is flattering and quality is great. Thanks Review! I’d like to add more colours to my wardrobe too!